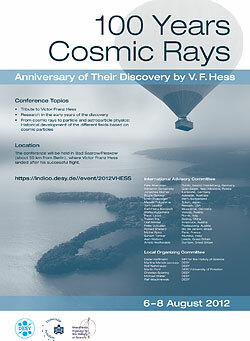 11.01.2012 VHANESSA Expedition 100 years of Cosmic Rays! 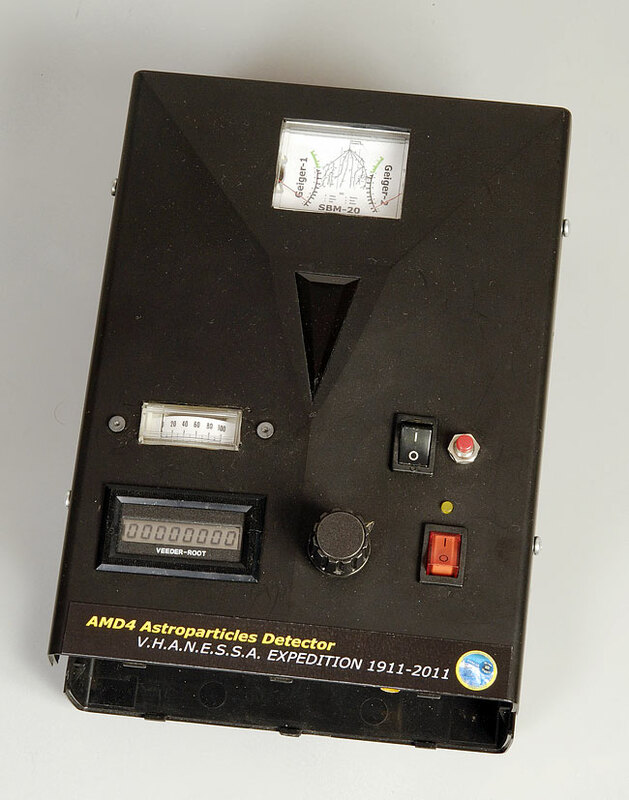 The volume 53 by Astroparticle Physics on january 2014 is at all dedicated about the centenary of cosmic ray discovery, including the VHANESSA expedition item. Terra Mater Factual Studios is a producer of documentaries with international appeal, many of which run on well known television channels. For the documentary "Inferno in the sky" about the Sun and the cosmic rays they have included some shots of the VHANESSA expedition. Presentation during the Moon eclipse. View Volo VHANESSA map in another window. 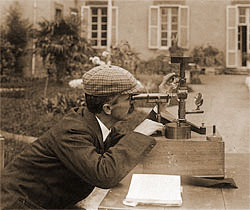 Working remake, of one of the electroscopes used, among 1911 and 1913, from Victor Hess to detect cosmic rays. 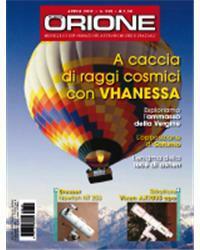 dedica copertina e articolo alla nostra spedizione sui raggi cosmici. The bips of one of the instruments rappresent the particles crossing, here at 3000m. 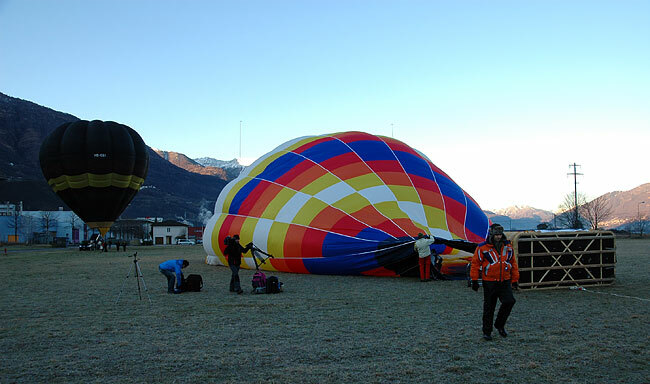 Serena Giacomin (Class Meteo) Gianfranco Orlando(Balloon Team) Luigi Bignami(Mediaset). Cesare Guaita(GAT President) Antonio Paganoni(GAT) e Marco Arcani (GAT-Astroparticelle) checking for first results. The 1911 was a year of great importance for physics and astrophysics: Ernest Rutherford demonstrated by means of alpha particle beams, the existence of the proton, and proposed the theory of the atom as we know it today, based on idea of electrons orbiting a nucleus. In the same year Victor Hess, Austrian physicist, had realized that a strange radiation detected on the ground could come from space. 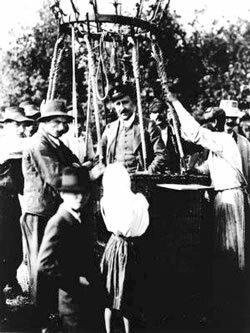 Armed with only some particular electroscopes made its research with air balloons, taking off for the first time in 1911. Through his surveys, showed that the radiation increased with altitude: so he discovered cosmic rays, publishing his work on 7 August 1912. A discovery that caused him to award the 1936 Nobel prize for physics. 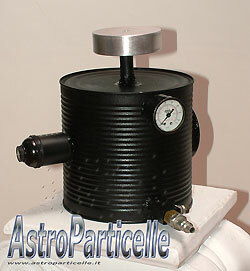 We can therefore say that the particle and astro-particles physics are born in the same year. Rutherford had introduced the idea of beams of particles colliding with atoms, a principle which is virtually unchanged and led to the development of machines like the LHC at CERN. Hess had instead triggered a search that has seen a great evolution of methods of investigation. 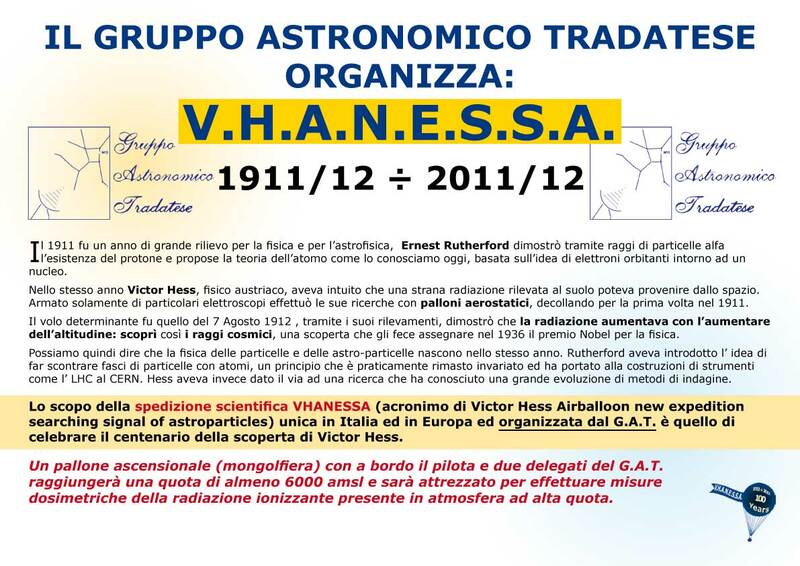 The purpose of the expedition VHANESSA (short for Victor Hess Airballoon new expedition searching signal of astroparticles) unique in Italy and Europe, and supported by G.A.T., is to celebrate the centenary of the discovery by Victor Hess. 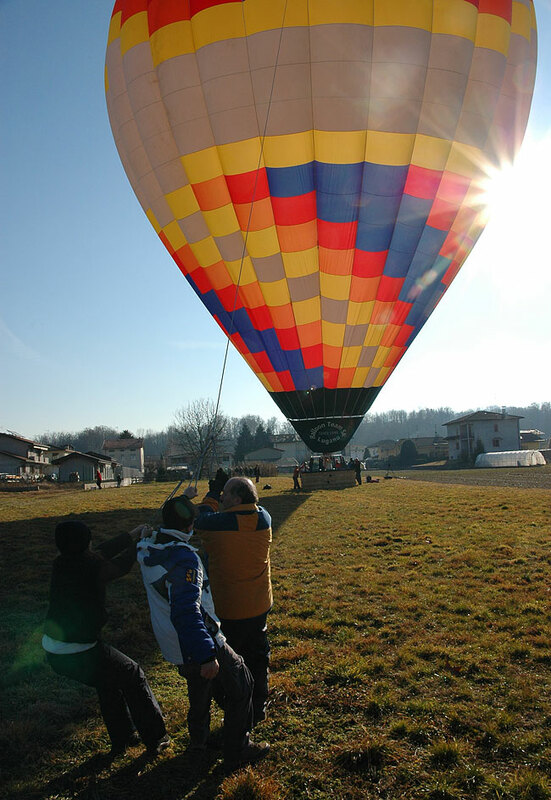 A balloon ascent (hot-air-balloon) carrying the pilot and two representatives of the GAT will reach an altitude of at least 6000 AMSL and will be equipped to perform dosimetric measurements of ionizing radiation in the atmosphere at high altitudes. 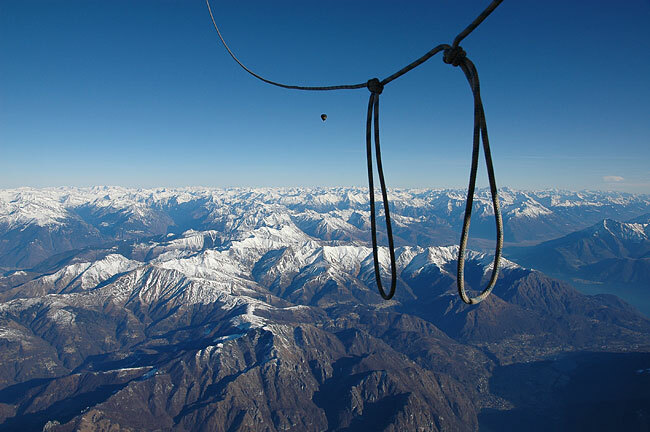 The expedition will start from St. Antonino (CH) (in Lombardy is impossible to make flights at high altitude), measurements on board the balloon VHANESSA will be carried out approximately every 1000 m of altitude as did V. Hess; using two Geiger counters, two muon detectors and an electroscope (purely symbolic but working). Unlike from what knew the Austrian physicist, we have the advantage of know what we will go to measure. The expedition has therefore a great historical and reminiscent value. It will be interesting to compare the measurements with both historical data with more recent ones: they may also arise considerable surprises. The number of muons from sea level up to 11-15 km, where the muons are in the company of pions, is almost the same, nevertheless the more is the height, the more is the recorded flux, because the air density deminishes and thus are recorded progressively more muons with low energy. The most abundant particle after the muon is the pion in its three forms π+, π-, π°: at 6000mt the muon flux is not high but still higher than that at sea level. At high altitude is expected the presence of neutrons and protons that are detected up to sea level but with a very low intensity , however at the time, neutrons we have no way of detecting them. What we certainly expect to find, however, is the presence of mesons or electrons that may produce a general increase in the ionizing matter. Here are the predictions. 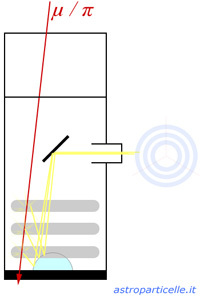 The first Geiger counter, set to detect beta and gamma rays should mark progressively more radioactivity, the second counter with scaler function (a function that counts the pulses in a gave time) should progressively get larger values, as in Hess's electroscopes. The muon detectors set to coincident detection, should count muons only: at 6000 m their number is not much higher than at 500 m (although they are more energetic), however we should see an increase, but with a less slope. 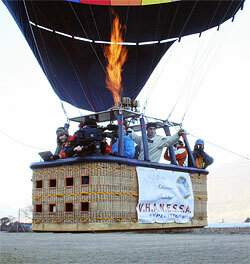 The expedition planned for November 2011, was postponed for weather problems, and finally started on January 11, 2012 these are the months when the air stability allows high-flying. The results of measurements and an accurate report will be published on www.astroparticelle.it and on www.gruppoastronomicotradatese.it. Will also be prepared articles for scientific journals. Scientific supervisor: Dr. Cesare Guaita, Gruppo Astronomico Tradatese president.